Gewinne ein Plätzchen für das Meet’n’Greet mit Arne & Carlos! Ich habe zwei Plätze zu diesem tollen Event gewonnen, das von Dawanda organisiert wird (das Gewinnspiel bei Dawanda ist übrigens schon vorbei). Leider wohnt keiner meiner Strickfreunde in Berlin und deswegen würde ich den Platz gerne an dich weitergeben. Was: Ein Meet’n’Greet, organisiert von Dawanda. Ein gemütlicher Nachmittag mit massig Weihnachtsstimmung und natürlich Stricken mit Arne & Carlos. 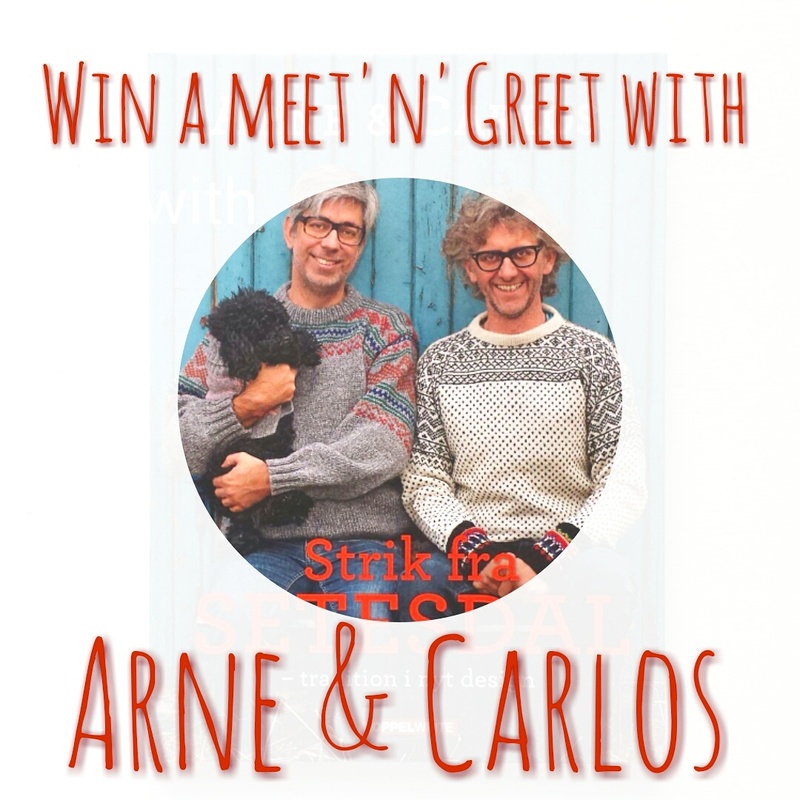 Come and win a meet’n’greet with Arne & Carlos! I won two seats for this fantastic meet’n’greet on the Dawanda site (please note that their competition is already finished) and as none of my knitting friends live in Berlin, I would love to give the 2. seat away. How: If you would like to come along, then head over to my Facebook page and comment on the post how much you would like to join and why. Please note that you will have to cover any other costs (transportation/accommodation, etc.) yourself. Where: In Berlin, Germany (if you don’t live in Berlin you might just have to purchase a flight ticket, like I did 🙂 ). What: A meet’n’greet organised by Dawanda Germany – there will be Christmas cosiness and knitting with Arne & Carlos.